We produce large iron legs for dining and office tables. 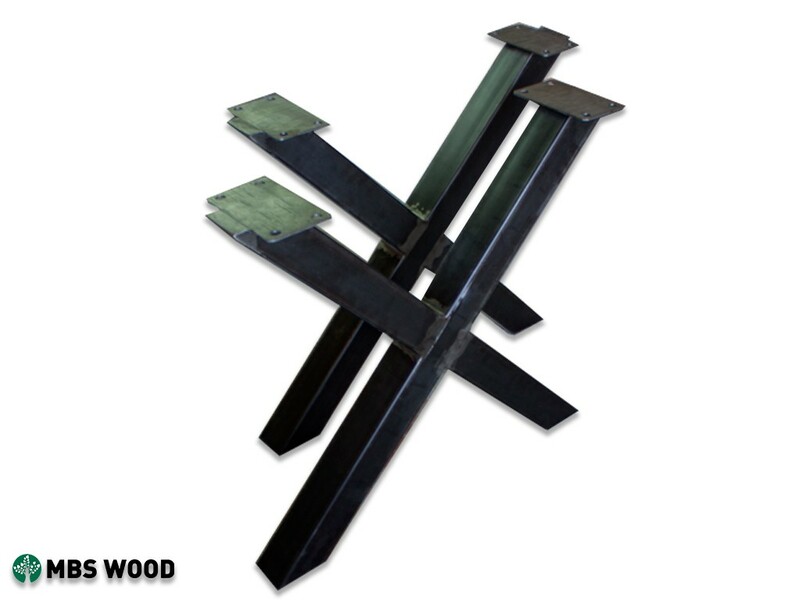 Large iron legs are made of high quality iron pipe. The thickness of the profile iron pipe 3 mm. The size of the iron legs for tables. 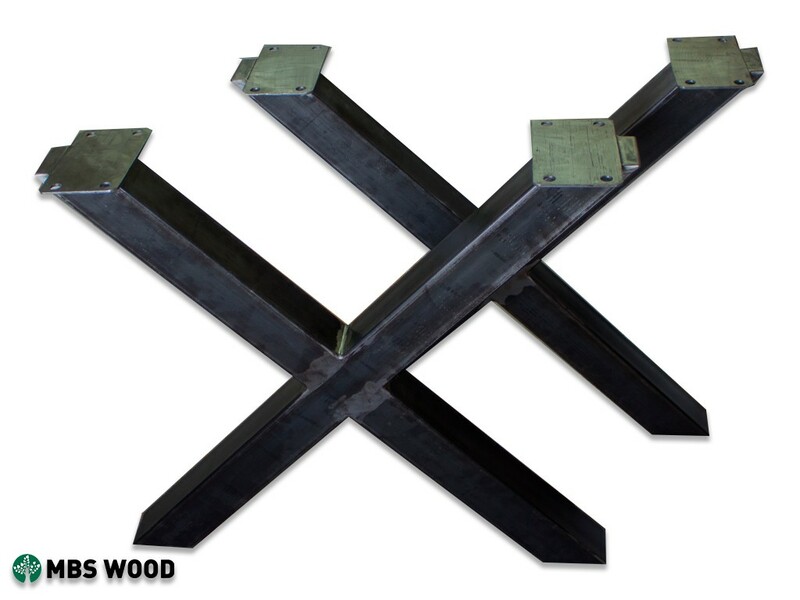 We offer the following sizes of finished iron legs: 60x120mm (thickness-3mm), 70cm. x 73cm. / 80cm. x 73cm. / 90cm. x 73cm. 100cm. x 73cm. These legs can be painted with black Matt paint or other color paint. 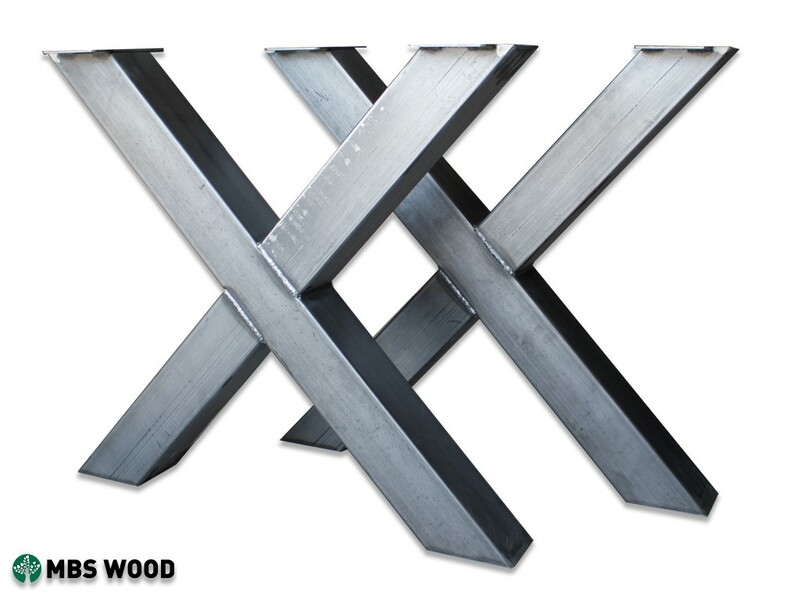 The photo shows the iron legs of the form x covered with transparent varnish. 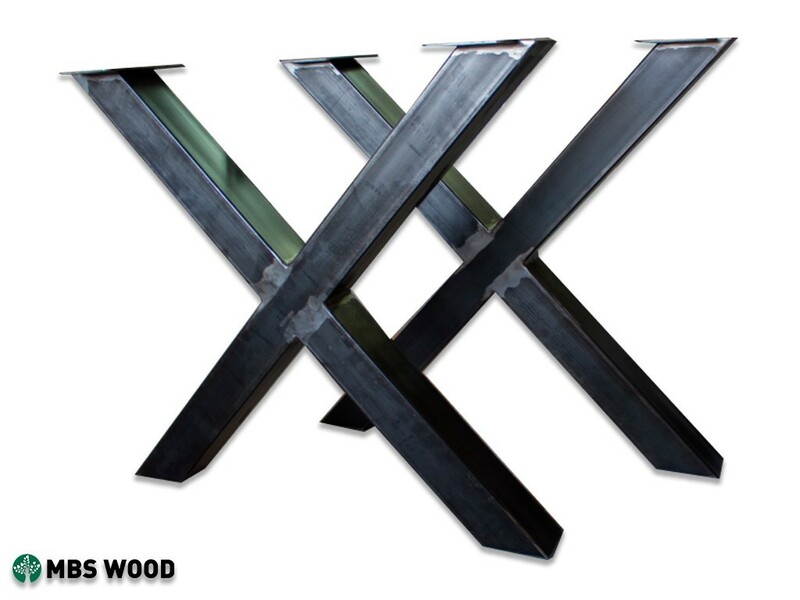 You can order the production of iron legs for dining, industrial or office tables right now. We offer low prices for wholesale buyers and guarantee high quality.